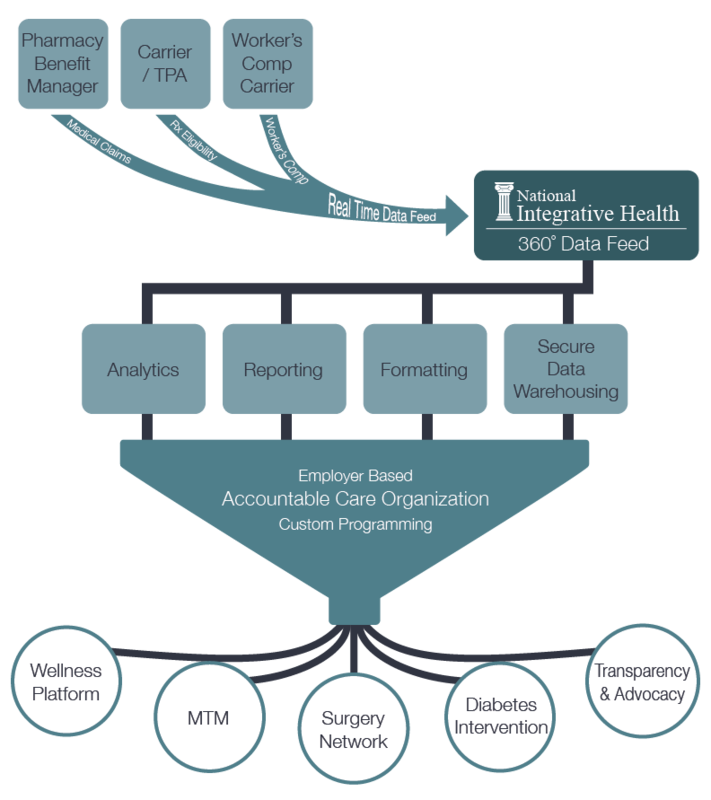 We provide a 360° healthcare data solution that is unlimited in scalability and patented for its ability to intake data from multiple sources, organize it down to the individual level, and send reformatted data to healthcare delivery partners that help you save money and improve the health of your employees. It is simply impossible to run a multi-faceted, highly effective healthcare program at the employer level without rich data capacity. In the past, all of the claims data has been stored at the carrier or claims administrator. The problem with this is it creates a level of dependence for the employer/sponsor of the claims. Not having the data means that you can’t utilize it for targeted interventions and that you will lose data continuity and trending if you ever leave your current administrator.